NIDEC-SHIMPO has developed a significant North American customer base within the Custom Assembly Automation and Test segment. Many of the projects undertaken by these machine builders are custom one-off applications with possible potential for duplication later on down the line – each project engineered and designed separately. The modularity in design of our servo grade planetary gearboxes offers exceptional versatility, variety, and availability for these types custom engineered applications. NIDEC-SHIMPO can usually support these projects out of our Kit Build Assembly Center in Glendale Heights IL – providing quick assembly of the series, frame size, and ratio that was specified by machine builder and documented the performance test results for each reducer prior to your commissioning of the system. The wide variety of frame sizes and ratios are available for immediate delivery for our inline and select right-angle series which help solve any inertia matching issue within your turn-key project. For dial tables, we offer hollow-bore rotary products and planetary reducers with high torsional rigidity characteristics that are ideal for many indexing applications. 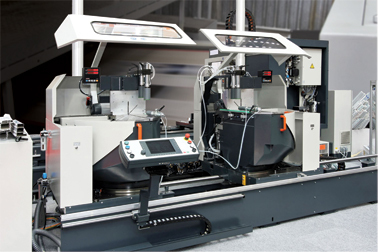 If the indexing application has lower torque requirements, custom automation assembly houses often opt for the SHIMPO STH-Series instead of settling for some of the more traditional competitive servo or cam indexers that are overbuilt and overpriced given the requirements of the application.